Facebook is one of the most popular social media networks. However with the influx of new users to Facebook, hackers and hacking will increase. 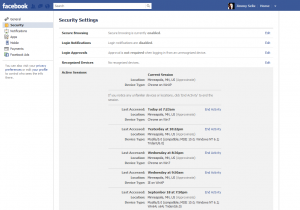 This guide will explain how to view where and when your Facebook account is actively logged into and also how to log out these active sessions. This can be very handy if you think your account has been hacked by checking the active sessions and their locations and times or even if you forgot to log out on a public terminal. 2. 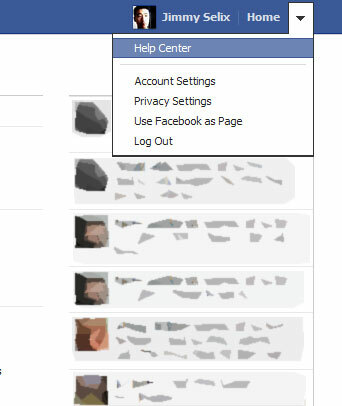 In the upper right hand area, click the Drop-down arrow and then Account Settings. 4. 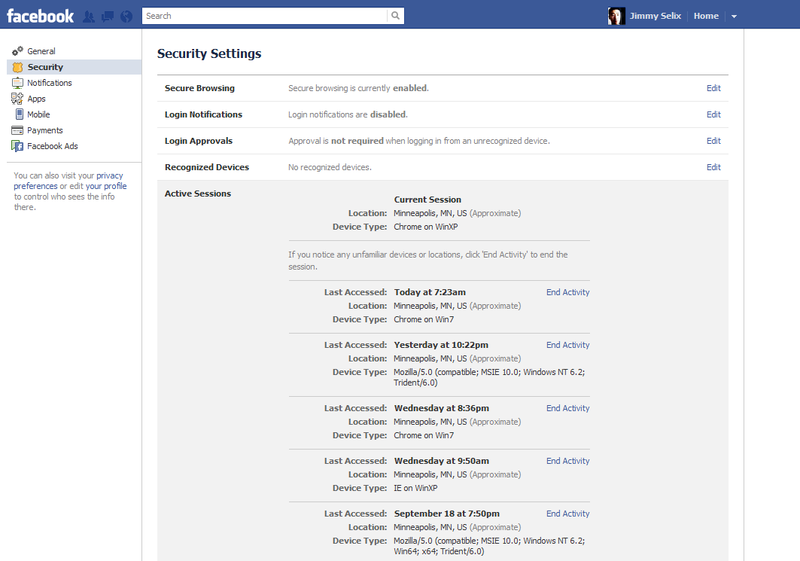 Now on the right hand section, choose the Active Sessions setting. 5. You will see your current session at the very top and any other sessions that are currently logged in or connected. This list will show your Android, iPhone, Blackberry and other connections. The Device Type field shows the device or browser that was used and Location field where (not exact of course but approximate) and the date of course shows the date/time of last activity in that session. 6. If you see an unfamiliar session, just click on the End Activitybutton and it will disconnect that session and require the session to re-login. Any session that is logged in and you hit the End Activity on will receive a re-login message the next time they try to refresh the view or click any item. -Password notes: be sure to use a secure one, adding a number and a non-standard character (ie @#$%) can increase it dramatically. -If you end session on a device (ie iPhone, Android, Blackberry), you will just need to re-login to the app the next time its launched.